SB-219CNC-CNC BEND-Zhangjiagang CZH Machinery Manufacturing Co., Ltd. It is fully automatic pipe bending machine. 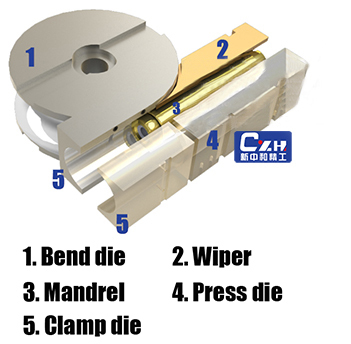 Bending pipe by hydraulic, feeding pipe by electric, rotating pipe by electric, clamping pipe by hydraulic, mandrel shift by hydraulic. Touch screen with English or any other language, PLC controller (Windows XP Industry PC as optional). Fan / water / oil cooling for your choice. With auto lubrication function. Electric and hydraulic parts from Japan, France and Germany. Standard：DVD，working indicator, one set of seal ring, tool box.